Instead of being discouraged into inertia by the immensity of the problem, a reality of that magnitude calls for creativity. Before throwing something away, is there some other purpose that item can serve? Perhaps just as important, is the idea of redefining trash, once another type of possibility exists for that item. 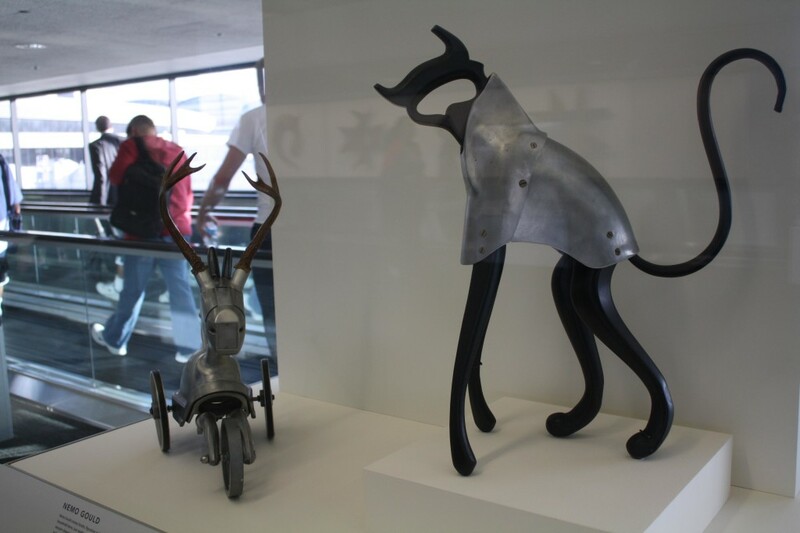 Redefining it as a “found object” enables upcycling and found object art. I’m not talking about hoarding either. In fact, that statistic on garbage calls me to ask myself in my firm and friendly let’s get real voice, how can we do more overall with less? Perhaps it’s a question you also ask yourself. I’ve never been able to write well at a cluttered desk- imagine the stunting of creativity in a cluttered house? For me, it’s some form of an insidious growth that spreads over far too many surfaces. 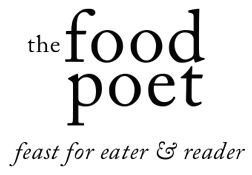 If you’re in similar straits, join me and put together your boxes of giveaways: clothes for goodwill, clothes for Dress for Success, and cookbooks for a cookbook swap party. Back to upcycling we go, though, because I find a particularly tender spot when it comes to tossing magazines. Perhaps it’s the idea of resigning all those words to the trash and all the images to mottle and morph into unrecognizable figures. Years ago, I began a mixed media project that took on a life of its own. For a while I fashioned mixed media compositions from the dregs of exhausted magazines and fancied the idea that I might one day sell them- the ultimate upcycle. Poring over piles of magazines takes a dedicated Saturday and a stiff drink, which for me usually involves kombucha. Flipping through their pages, I tear and cut as I go, creating piles of images, textures, borders and sometimes typography and words. The last round of magazine triage occurred while old X-Files episodes played in the background, a perfect way to settle into that kind of day. 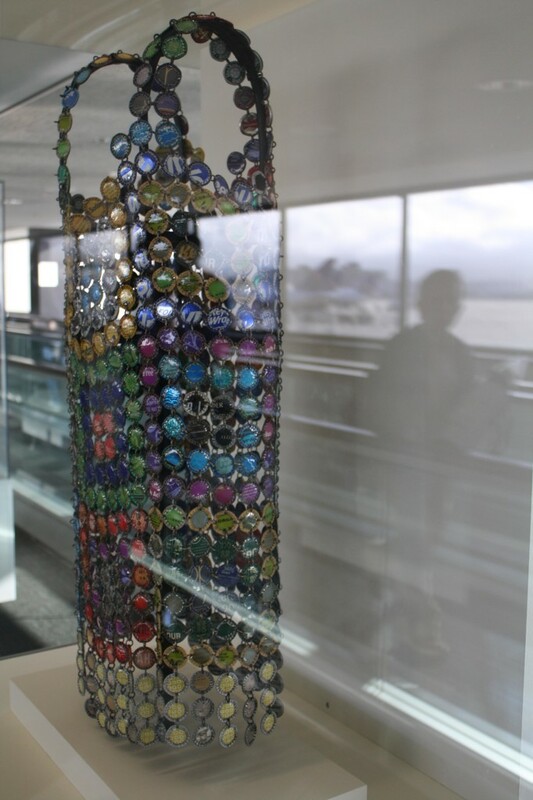 For the traveler heading out of terminal 3 at SFO right now, you’re in for a treat of the artistic kind. 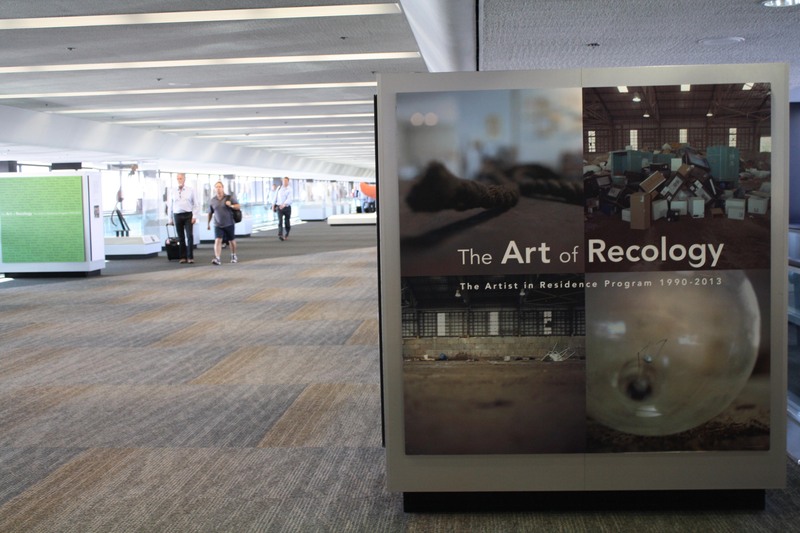 Our San Francisco garbage and recycling collector, Recology, is displaying an exhibit that stopped me on the moving walkway weeks ago. The idea of being confronted with art and much more, the ideology of remastering the old into the new percolated so much hope and possibility within me that late evening. Art does that- sometimes it stops you in your path and creates a fork in the road. 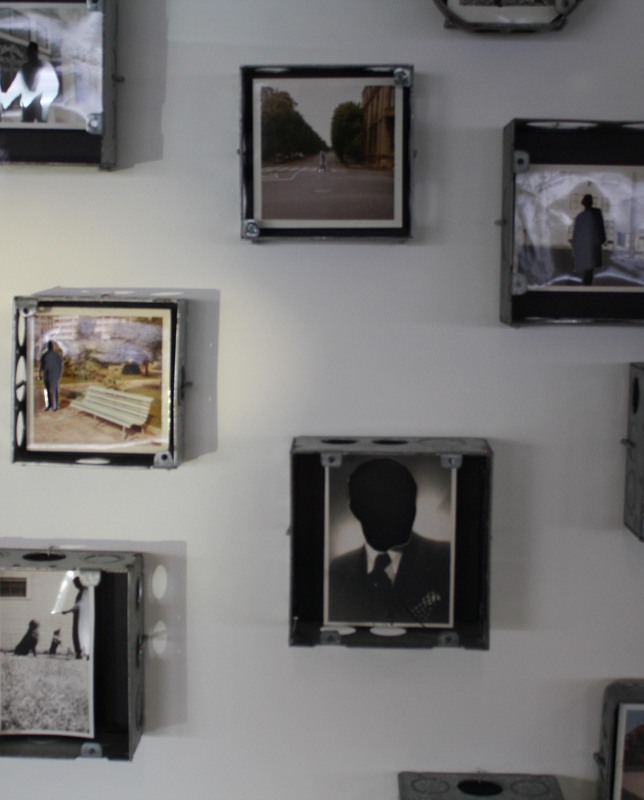 “The Art of Recology,” features work from artists-in-residence over the years at Recology. 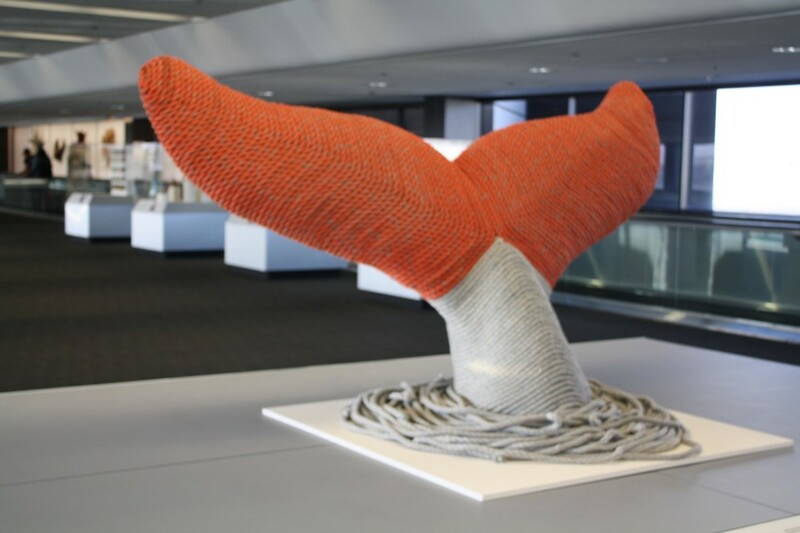 Since 1995, their artist-in-residence program has worked with over 95 artists with the intent of encouraging people to think differently about art and the environment as well as conservation of natural resources. 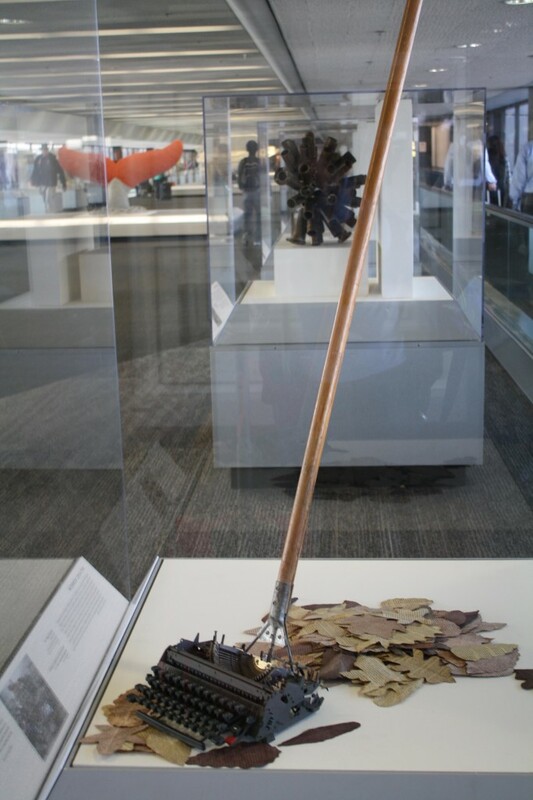 The artists work with discarded materials, with found objects at a studio on-site at Recology and receive a stipend during their tenure. They have “scavenging privileges” and at the end of their time in residence, an art show featuring their work. Nemo Gould, a former artist-in-residence at Recology defines “a found object” as “just a familiar thing seen as though for the first time.” And in that simple statement lies a tremendous truth: look deeper. What is the intrinsic value of the thing about to pass from being a mop handle and rusted typewriter into trash? Treasures can be found everywhere if we just open our eyes to see them. And yet, perhaps artist, Henri Marie-Rose says it best, “I worship life through art with the simple insouciance of the new moss in the crack of the sidewalk, the persistent weed, and the ever new and surprising, versatile orchid.” Imagine the opportunities for ekphrastic poetry! That persistent weed sprouting up in my kitchen of single-function gadgets and purchases procured on a whim take on new meaning. They poke and nudge me to ask myself the question, “how can I give them new life” and if I can’t, “who can?” While I don’t see an avocado slicer making its way into macrame or a collage anytime soon, it can be its own gift that keeps on giving, just like the regular happy sight of a massive white styrofoam Hummer blocking the pedestrian pathway in the United terminal with its jiggered wheels and body. To be human is to upcycle. 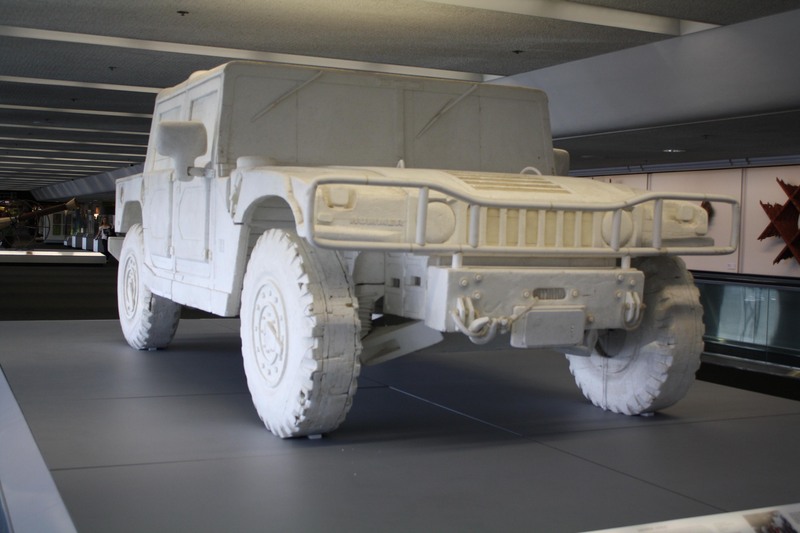 Now I’m wishing I had some reason to go through SFO…is that Hummer really out of Styrofoam? Oh my. I’m surprised to find I am most drawn to the huge whale tale and that squeaky white vehicle. Their forms are so fluid. I might even be moved to understand the odd beauty (in the case of the Hummer) of the real thing. That’s saying a lot! Amanda- let me tell you that Hummer is something to be reckoned with. 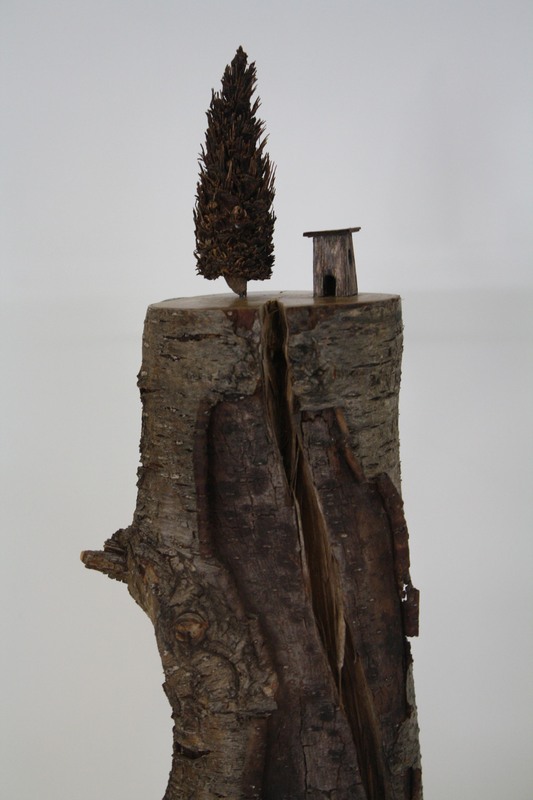 The amount of detail put into the sculpture is uncanny and elicits a strong response. You can’t help but be arrested by its enormity.